Ladies of today's society are expected to look presentable. This is especially important if we are working professionals whereby we meet people from all walks of life. Men are not exempted from this cultural change as my observation tells me that there are more Metrosexual men today as compared to the past. 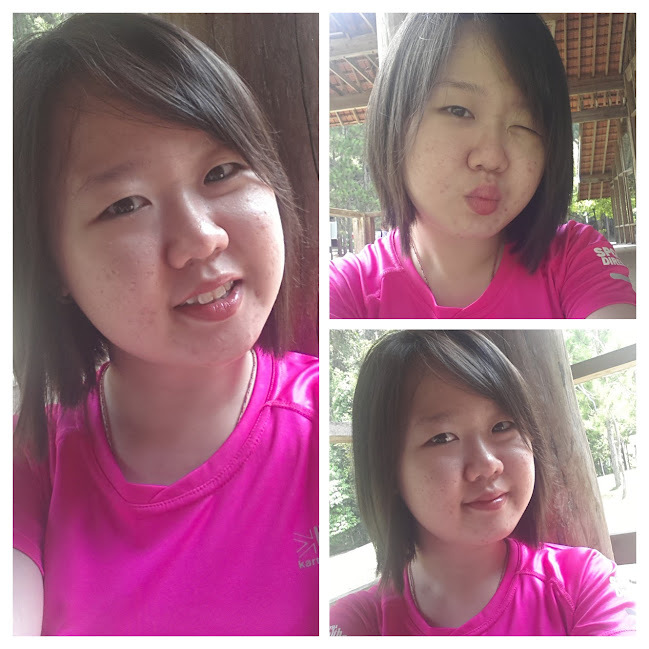 With the change in lifestyle, environmental and work stress, it is relatively easy for our skin condition to deteriorate and there is a need to maintain it. NEESYA means Butterfly in Greek and it symbolizes the spirit of today's modern individuals. Like a Butterfly, everyone has the hidden potential to be free and beautiful. When I went to NEESYA office early last month, I was well-received by NEESYA's CEO, Mr Chris Yong and his pretty assistant. They were very friendly and extremely helpful, explaining in depth on how to use their skin care products. Thanks for the excellent service :) I was given 4 products to review and after almost a month of using, here they are! This is the 3 Minute skincare regime recommended by NEESYA. Shake bottle well to mix both constitution. Soak well onto cotton pad and wipe gently to remove makeup on eyes and lips area. Repeat process with a new cotton pad until fully clean. 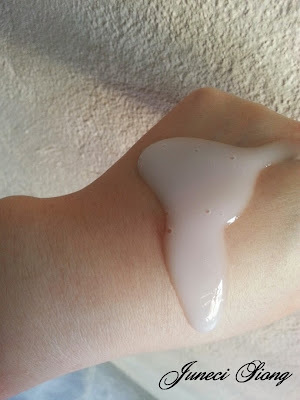 Apply medium layer onto cleansed, dry skin. Spread lightly in light circular motion and leave on 5-10 minutes. Mr Chris advised me to leave on this Enzymatic Refiner for about 3 minute rather than the recommended time as my skin is more sensitive and raw. The Enzymatic Refiner is a gentle, non-abrasive exfoliator and contains papaya fruit extract (gently dissolve and life dead cells), clear pores, extract of Silver Vines and Alpha-Melight, bio-technologically derived yeast protein, fortified with minerals of diamond, mother of pearl, turquoise and opal (smoothen, refine skin texture and promote skin radiance), Pro-Vitamin B and Aloe vera (extra smooth and restore moisture). The smell is slightly stronger compared to the mask but acceptable. I only do this twice a because of my skin condition. This is very gentle as it does not use any micro beads and does not cause any obvious skin peeling or redness. After cleansing and toning, spread and massage lightly on face and neck in circular motion to facilitate better absorption. Leave it throughout the night and rinse off in the morning. I have never used a sleeping mask before, so this is a good experience. The texture is almost similar to the Lumi Brightening Enzymatic Refiner. It is formulated with Silver Vine extract, Alpha-Melight and aloe vera extract. This mask is not cooling like the usual mask, probably because I didn't store it in my refrigerator. It does not cause any warm sensation neither, but I notice obvious warmth when I breath out through my nose XD What I like about this is that when the next day I washed it off, my skin is noticeably smoother :) I usually moist it a little with water before proceeding to wash it off completely. Pour 4-5 drops onto palm and spread onto face and neck. 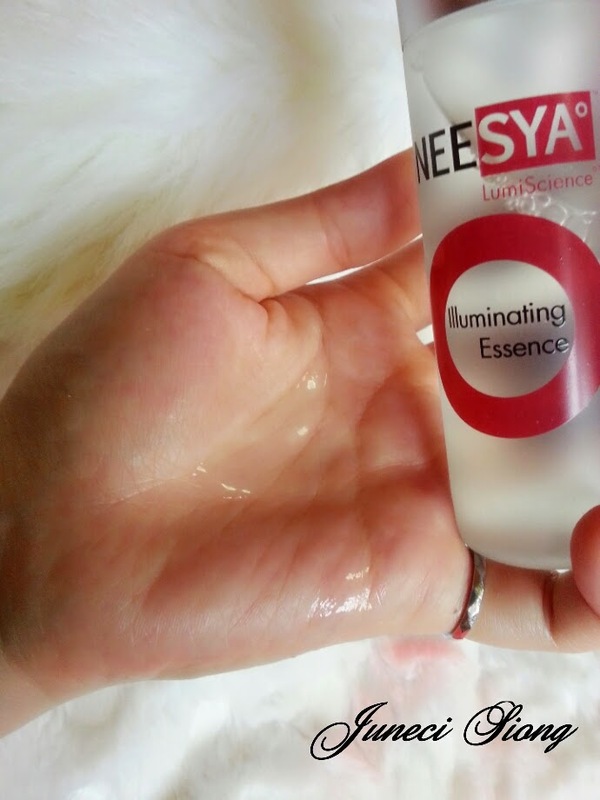 Each and every product of Neesya LumiScience is sealed with a holographic tag. 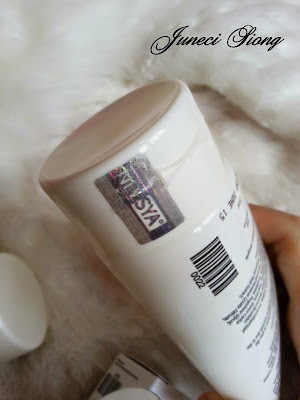 This is to ensure that the products are not tampered and safe to use.They are also Paraben Free, SIRIM, Standards Malaysia, GMP and Malaysia HALAL certified.